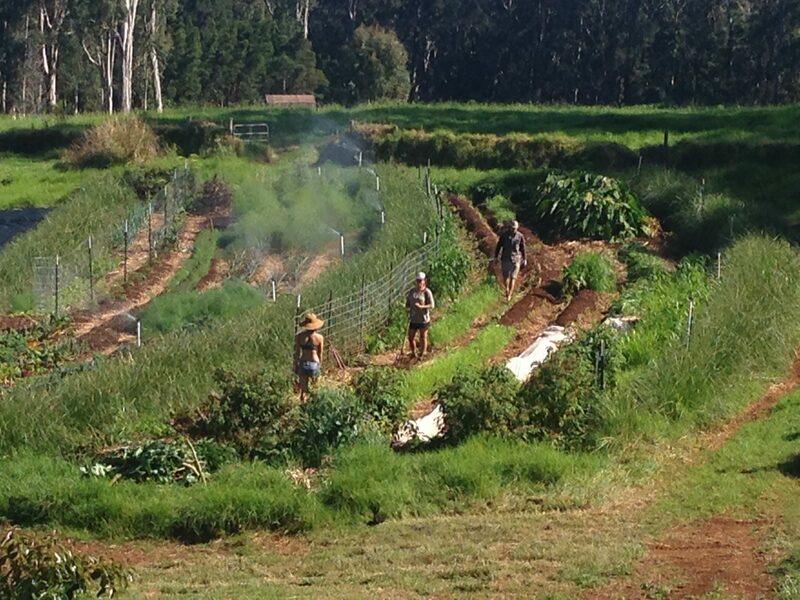 Production Permaculture is a term we created to define our operating practices. We utilize traditional permaculture practices found in indigenous agroforestry systems and incorporate them into a commercial farm system that includes orchards, annual vegetables and animals. We spent 2 years designing the land before implementation. This conscious design has allowed the land itself to dictate our approach and be a part of the decision making process. Our land design is focused on water conservation through the use of keyline design, contour plantings and water harvesting techniques that allow us to feed our farm solely from rain water.